Take your guests along for a nautical adventure with our “Tie the Knot” Pocket Invitation. 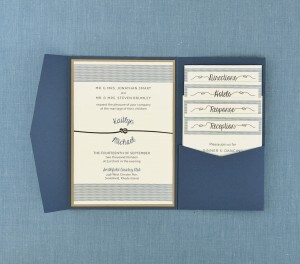 The cobalt stripes and knotted accents evoke memories of a day spent sailing along the coastline. 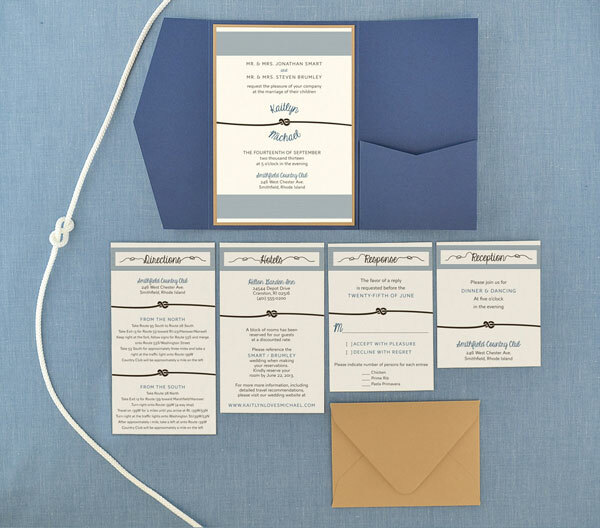 A Cobalt Signature Pocket Invitation is paired with a Harvest invitation mat and belly band adding a warm touch to the crisp white and blue stripes.